After moving to Colorado in 2013, I was looking for a career change. Since I was a beer lover and Denver had such an impressive craft beer scene, I enrolled in a certificate program at a nearby university and began my journey! After a year of schooling, an internship, and a stint as a bartender at a local brewery, my wonderfully-supportive husband and I began working on recipes. Drawn toward sours, barrel-aged, and fruit beers, we began experimenting and creating fun, unique, flavor profiles. Initially thinking we would open a traditional taproom in Denver, those plans changed as the Denver beer scene and real estate scene also changed. We changed our model and decided to go small – nano brewery status. Instead, we bought property in Evergreen, CO and converted the existing outbuilding into our brewery. Though we would have loved to have a taproom onsite and a fantastic off-leash dog park, it was not meant to be with zoning issues and restrictions, so we readjusted again and decided to have a production-only facility. 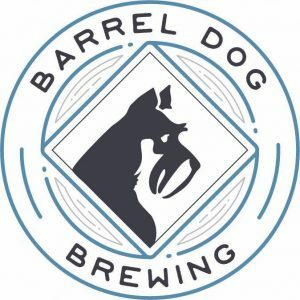 Since we do not have a taproom, we will be distributing our beers, so watch for Barrel Dog beers in Evergreen restaurants and taprooms. If all goes well, we’ll expand from there! This list includes beers brewed currently, previously, or seasonally by Barrel Dog Brewing. Contact the brewery for current beer availability.